"For a long time now, I’ve wanted to gather what I feel are my best songs and put them on one disc. 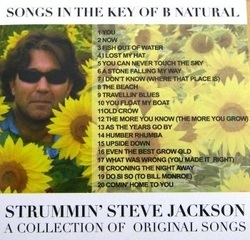 “Songs In The Key of B Natural” is the end result. If it all ended tomorrow, I’d be happy that this represents my creative juices. I’ve tweaked and culled and had to call a halt, because there’s usually another song around the corner. These recordings are a combination of solo performances and sessions with occasional guest musicians and recordings with “Ploughmens Bunch” the band that relit my songwriting fuse. Big thanks to the “Bunch”, Bryan Peter Rudd at Lincoln University, “Organic” Karl Svarc, Trev Cunnington and Hugh Scullion for humouring me and helping me make this album. I wouldn’t have been able to do any of this without my wife Anne, who’s put up with my musical condition since she first came across me as a fresh faced young man! Love to you and daughters Holly and Sophie. Tracks 4,7,9,11,14,16,18 & 19 recorded with Ploughmens Bunch. 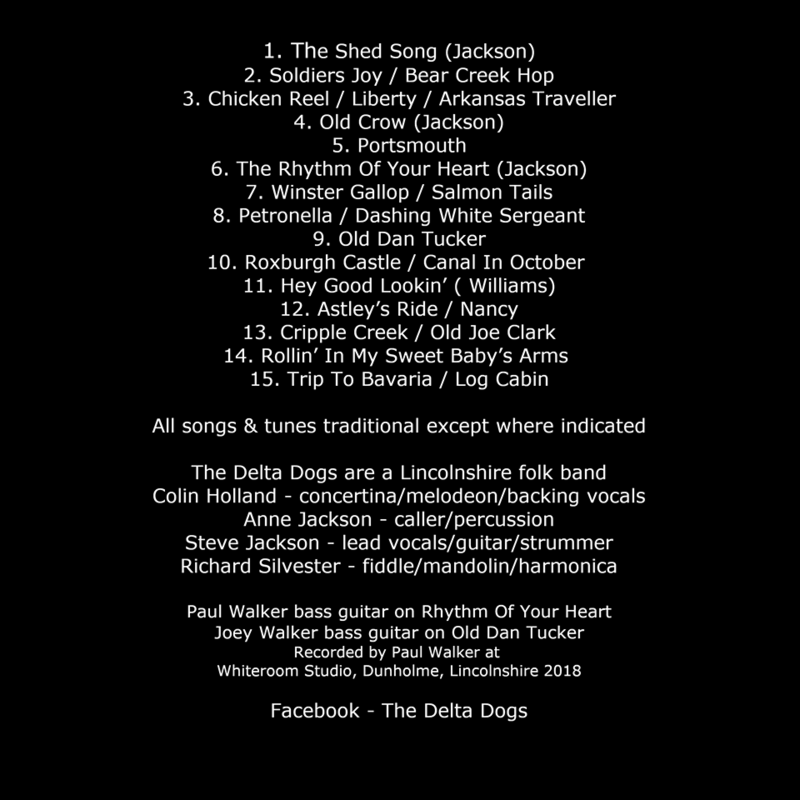 Tracks 1 & 6 feature Karl Svarc on six and 12 string guitar Everything else - Steve solo with acoustic/nylon strung guitar or the Scullion strummer. "As a songwriter the ultimate hope is that someone might decide to cover one of your songs, perhaps play it in a different style but at least to get it heard. That’s why I’ve called this “Songs For Folk To Sing”. I’ve kept it simple, for the most part its guitar, strummer & voice with a touch of rhythm from nature’s drumsticks… your hands. Plus some fine harmonies from Richard Langridge on a number of the songs. 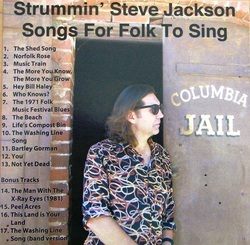 Richard produced this CD & put the sleeve artwork together. It’s good to have someone there on quality control to bounce ideas off. All the songs have a story behind them, you’ll just have to be at one of my gigs to find out about that, as there isn’t the room here! I’ve also added some extra bonus tracks recorded at different locations. X-Ray Eyes is taken straight from a 1981 7” vinyl recording. Peel Acres was recorded in Scunthorpe @ Hugh Scullion’s house, This Land Is Your Land, is in tribute to Woody Guthrie & the 100th centenary of his birth in 2012. The band version of the Washing line Song was recorded in Newton Stewart, Scotland a session organised by Easy Bob Reid who plays harmonica & sings harmony on the track. Front cover pic taken in Columbia, California by AJ. Keep live music real ! " Left- my 1980 single "Fiction" & "The Man With the X-Ray Eyes" recorded at the Studio Playground, Wragby in Lincolnshire with assistance from Lincoln's Dead Good records, a really good indie label. The musicians were Paul Johnson on lead guitar (sadly no longer with us), Ivan Codd on bass guitar and Ray Perry on drums. I sang and played rhythm guitar on the tracks. We spent a Sunday recording the two songs and I remember having to drive drummer Ray Perry back to the Sands Club in Cleethorpes in the late afternoon for an evening gig where he was part of the house band and then drive straight back to the Wragby Studio. Highpoint was a play on John Peel's BBC Radio One Show! The single and picture sleeve are on the left. Paul Johnson took the photograph in the back room of my Mum and Dad's house in Lestrange Street, Cleethorpes.